Do we need a standard on health and safety? 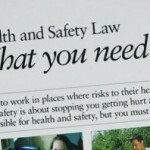 Plans for a certifiable international standard on health and safety are well underway. It is called ISO45001. 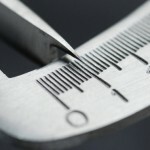 This is a really big development as most big employers are likely to try to achieve certification, just as they currently do to other international standards such as ISO9001 (quality management). Yet most people who are going to be directly affected by it are unlikely to have heard about it, let alone been able to express a view on it. That is because of the system that is used to develop standards. I wrote about the general issue in Hazards magazine. International standards are developed by committees made up of representatives of the various national standards bodies. In Britain that is BSI. These bodies have their own committees that can get involved, so if you are a member of a national committee then you will get the chance to comment on the various drafts. Standards committees are not representative. They are made up of “technical experts” who are often self-nominated. While unions are told that they can participate in standards committees, often there is a fee involved. Some countries have over a thousand such committees so it is not possible for unions to be involved in all or even most of them. Even those who do have union representation find that unions are only one voice out of perhaps a couple of dozen, and most of the rest will be manufacturers (in the case of product standards) or, in the case of health and safety, consultants who have their own commercial interests at heart because they stand to make a lot of money from selling their services to companies that will want to claim that they are certified. The standards bodies also stand to make a lot of money from standards like these. BSI make around £200 million a year from certification of standards, plus a lot more from selling the standards. I am not knocking BSI for that, but it means that the reason why standards are developed is not always based on the needs of those who should be benefitting (consumers or workers) but by consultants, manufacturers, or the standards bodies themselves. The process also makes it very difficult for unions to get involved. Because of the numbers of standards there are, the complexity of the process, and the fact that, unlike in many other European countries, funding is not available to assist unions to be involved. The fact that standards are not publicly available, so have to be bought, means workplace representatives cannot check whether an employer is complying with a standard or not and have to reply on the word of an external auditor who does not know what really happens in the workplace. Even more problematic is the involvement of standards bodies in areas that should be about regulation and workers’ rights. That is certainly the case with health and safety. When the International Standardisation Organisation (ISO) decided to develop the new standard on health and safety, international trade union and employers bodies all said they do not want one, but ISO went ahead regardless. The reason unions objected is that we want strong laws on health and safety at UK, European and International level. We have no problems with minimum international standards but we want ones that are developed through discussions with employers and unions and a process for that already exists. 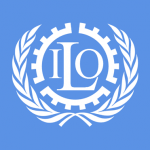 The International Labour Organisation (ILO) was set up to develop legally binding conventions on issues such as labour rights and health and safety. 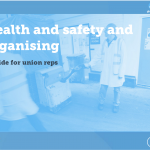 Unions, employers and government all have an equal say in decisions on new conventions and we already have a number on health and safety issues, but they are not comprehensive enough. That is why the International trade union movement have been calling on the ILO to develop a new convention on health and safety prevention that will ensure minimum standards in every country that adopts it. There is also concern that the primary aim of ISO45001 is to ensure that there is a compliant health and safety management system for the employer which can be audited and that fits in with other ISO standards, rather than actually ensuring the safety and health of workers. Unions are concerned that certification and auditing will look, not at the levels of protection given to workers and the public, or at the record of the organisation, but instead at the administrative systems that are in place. If they meet the requirements of the standard then employers will think that is sufficient. Another real fear is that certification could be used by regulators as an indicator that an employer meets their legal requirements or has an acceptable safety system in place. Across the entire globe, governments have indicated a desire to consider greater self-regulation. It could be that they will consider using certification to ISO 45001 as evidence of compliance with whatever health and safety laws there are, even though it is clear that achieving certification will be no guarantee of meeting the requirements of national legislation. Because of that, the new standard could, indirectly, lead to reduced levels of protection and greater bureaucracy and burdens as contractors, employers and regulators focus on certification of a standard rather than on the real indicators of a strong safety system: effective risk management, good outcomes, and full consultation and involvement with unions, underpinned by strong regulation and enforcement activity. Trade unions want strong regulations and strong enforcement, not voluntary standards that are developed for commercial reasons by people who want to be able to make money from auditing or certifying the standard. You can read more about the process and the standard here. Unfortunately you cannot read the actual draft standard as it is being kept secret so they can sell it once it is adopted. One Response to Do we need a standard on health and safety? The problem is not the standard, neither OHSAS18001 nor ISO 45001. The problem is the poor quality of the certification and audit from certification organisations and akkreditation organisations. They are usually not keeping the certified companies in a tight robe and sometimes the quality of their audit is so poor, that even the companies consider abandon the certification scheme. I often come across companies that takes the certificat and the standard very serious. Let’s not blow it for them and the workers on these sites, but help them to keep the certification organizations on their toes.